Comment: most of the gutters are easy to clean/clear, however I have a 2 story home on a slope so 1 corner of the house (in the back) is hard to reach to clean/clear. I have borrowed ladders that reach the second floor roofline - but I'm generally cleaning above my head. Water is flowing over and causing a hot mess for me and my next door neighbor. 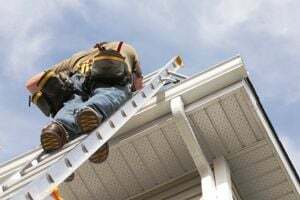 Gutters may require spots where it needs to be reattached to the home. I do not anticipate the need to install new gutters, very likely to clean and secure current (19 year old) gutters. Comment: Looking for a quote for installation of gutters, downspouts, etc. Currently there are no gutters installed. I'm not sure of the materials needed as to the type of gutter, but would prefer most economical. Would also prefer the company quoting has the capability to repair any wood damage if required. Comment: Gutter area is on a rear deck less than 2 years old. Not sure what the exact problem is, just the area of the problem. 8318-708 / 173 Pineville-matthews Rd. Cornelius Gutter Cleaning & Repair Services are rated 4.67 out of 5 based on 1,222 reviews of 25 pros. Not Looking for Gutters Contractors in Cornelius, NC?